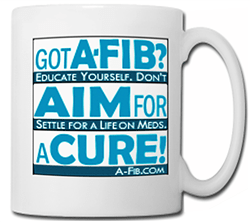 A-Fib is a progressive disease that over time re-models and changes your heart. 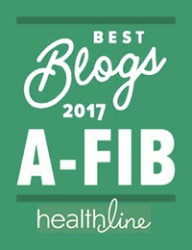 One of the remodeling effects of A-Fib is a reduction in the heart’s pumping ability (that’s why you might feel faint or dizzy during an A-Fib episode). A key indicator of heart health is your Ejection Fraction (EF), the percentage of blood that is pumped out of your heart by the left ventricle during each beat. A healthy heart has an EF between 50 to 75 percent; an EF below 50% means your heart is no longer pumping efficiently. An EF of less than 35% means a seriously weakened heart. 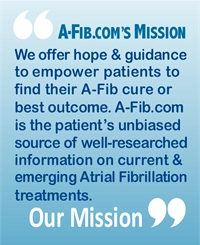 In a meta-analysis of 26 studies, researchers found additional ‘side’ benefits to catheter ablation for atrial fibrillation. 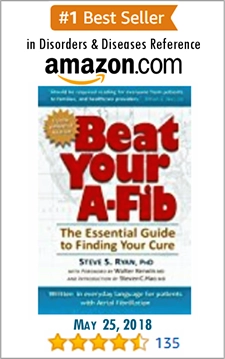 The studies involved 1,838 A-Fib patients who had undergone a catheter ablation. Post-ablation follow-up averaged 23 months. Examining the patient follow-up data, researchers found a significant 13% improvement in left ventricular ejection fraction (EF). In addition, there was a significant reduction in the number of patients who formerly had an ejection fraction of less than 35% (this means their EF ratio improved). Blood pressure levels were also improved. Are there benefits from a catheter ablation even when the patient’s A-Fib has not been eliminated? You may ask, do these side-benefits depend on the catheter ablation eliminating the patient’s A-Fib? No. Researchers have studied the follow-up data of failed ablations and found a few other ‘side’ benefits. 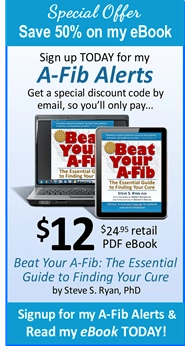 Some patients found their A-Fib symptoms were less intense or shorter in duration. 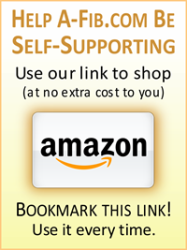 (Might this ‘side’ benefit be attributed to an improvement in left ventricular ejection fraction?) In addition, some patients found they could take certain medications that prior to their ablation had been ineffective. So, either way, a catheter ablation offers benefits. Even if you need a second ablation (or a third), know that you may still reap some substantial benefits from the previous “failed” ablation. Videos to learn more about Ejection Fraction: Your Heart’s Ejection Fraction (EF): What You Need to Know. In several short video clips, Dr. Robert Fishel, discusses the ejection fraction (EF) and why cardiac patients should know their EF. Dr. Robert Fishel is Director of Cardiac Electrophysiology at JFK Medical Center.